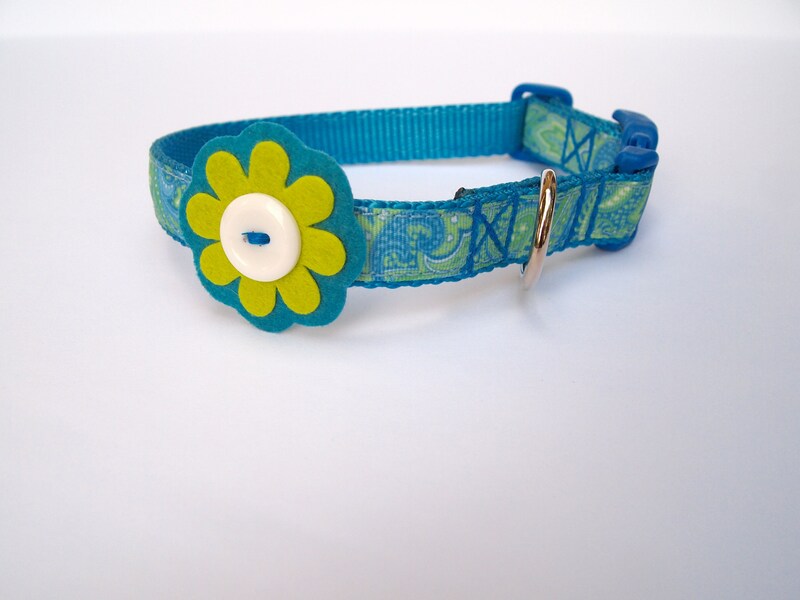 Pretty Paisley blue & green dog collar will look gorgeous on your fur girly! 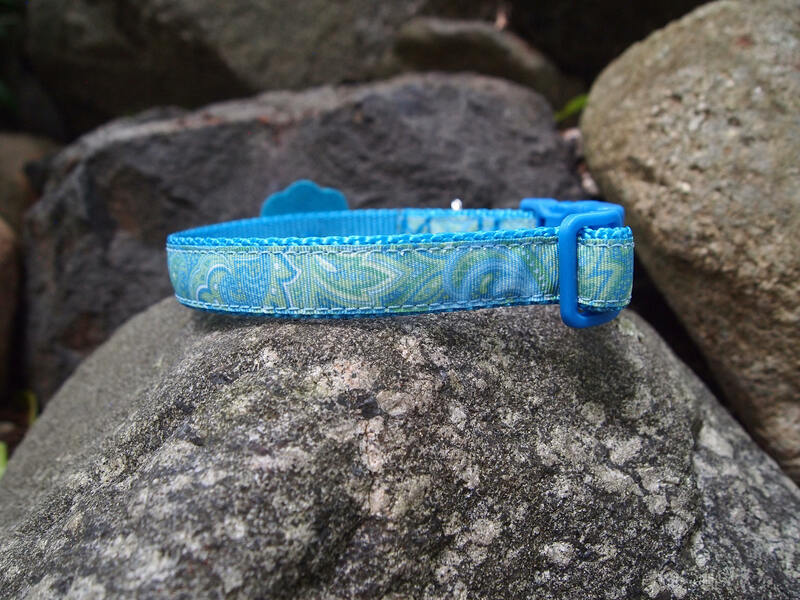 This collar is made with paisley grosgrain ribbon sewn onto heavy 3/4 inch wide blue nylon webbing. Ends of webbing have been melted to keep from fraying. 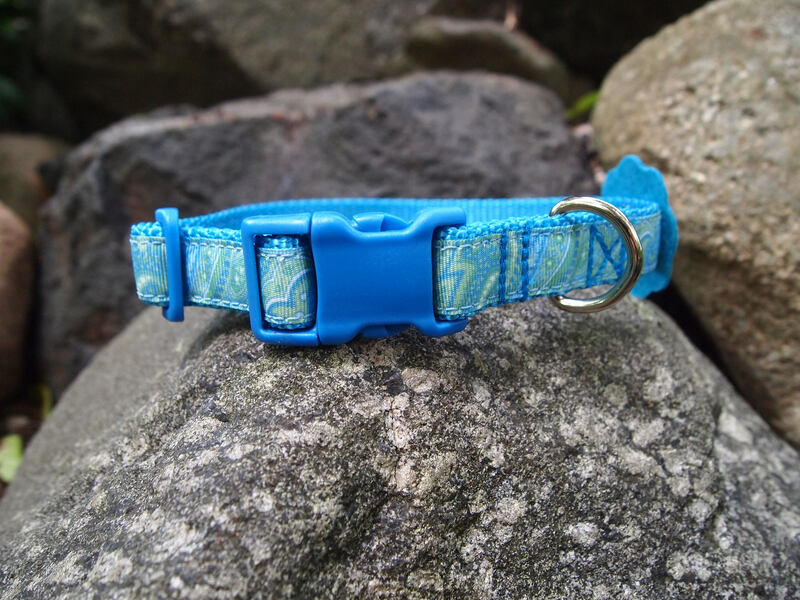 Blue buckle and trip-glide slide look great on this collar. 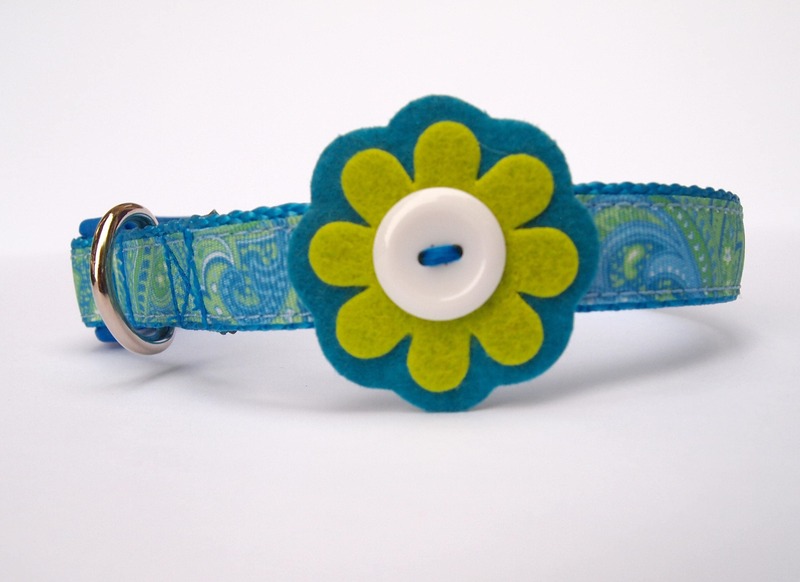 Blue and green felt flower and white button add a pretty decoration. 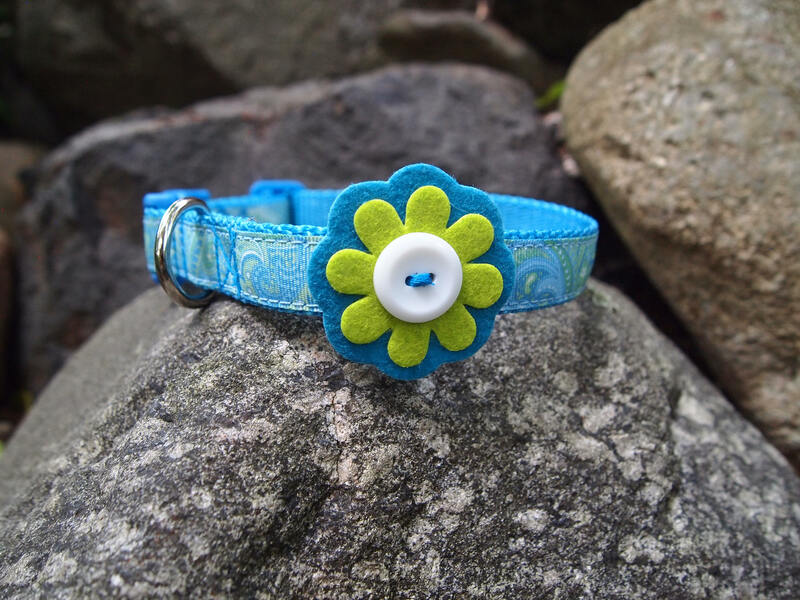 This is a SMALL size collar and can be adjusted to it's maximum length of 15 inches or reduced down for a perfect fit! Latch your doggy up with the D-ring hardware and go for a walk! 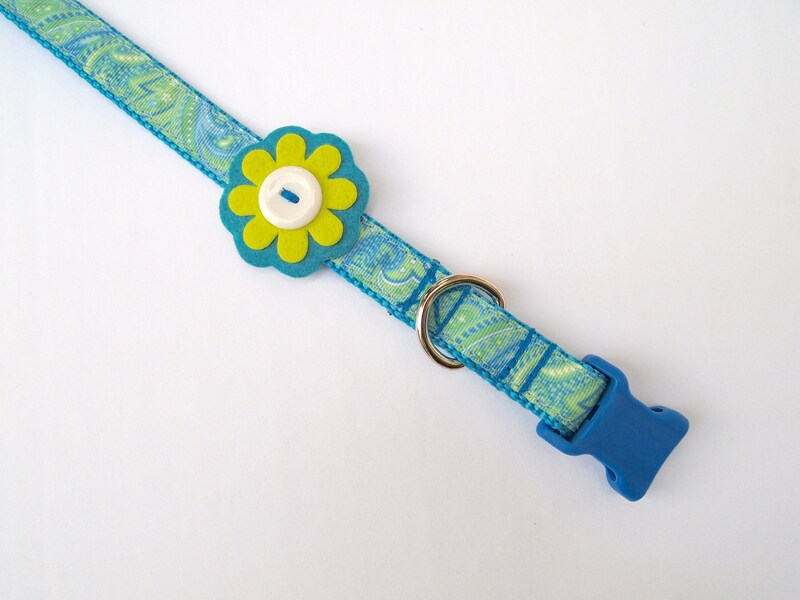 Order a matching leash with snap hook for a complete look! Your dog isn't boring why have a boring collar?